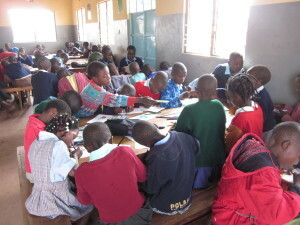 Each class has between 15-24 students. All students learn English, reading, math, geography, science, spelling, and composition. Children begin school in kindergarten and continue through the 8th grade, when they are about 16 years old. In the 8th grade, all students take a compulsory test that determines their eligibility for higher learning at boarding school; they must pass this test to continue on to boarding school. If students fail this exam, we connect them to trade schools that will allow them to explore and grow their skills. Our goal is to teach all students to be self-sustaining. 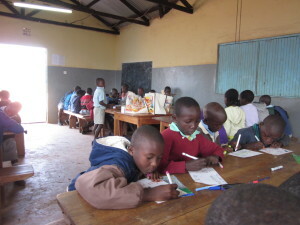 At the heart of our vision for the children of Okari is to provide them with educational equity. 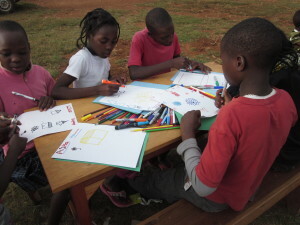 They continue to be top performers in their region and have the talent and capacity to become the first STEAM (Science, Technology, Engineering, Arts, and Mathematics) school/orphanage in Kenya. It’s a goal worth working towards and we will begin to lay the groundwork for this in 2015. More information about our additional programs coming soon!